Bumpers for Rolls Royce cars and insulation for hospitals are created from the products designed and made by a West Norfolk company. 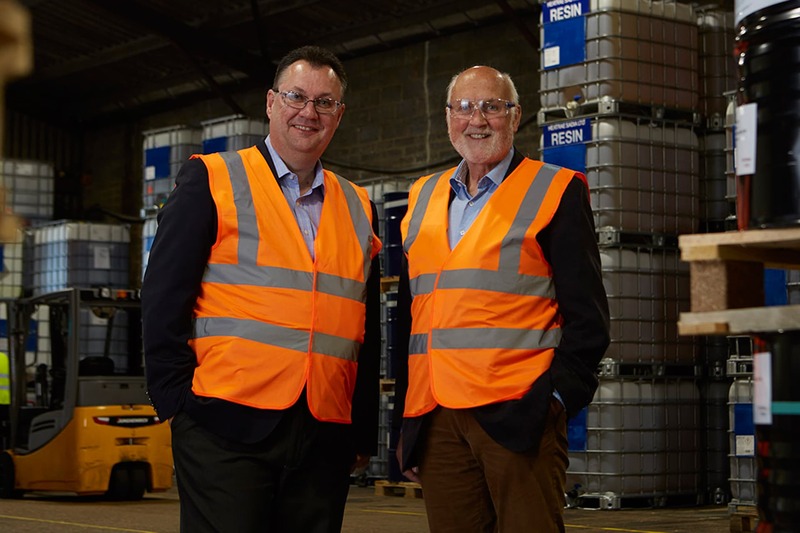 IFS has grown from a five-person £250,000 venture in a 1,500 sq ft unit when it was formed in 1982 to a £12m business in a 55,000 sq ft factory with 22 staff – and it has recently been bought by global chemical company Huntsman. The accountancy work of Stephenson Smart has helped the company during both the growth years and the demanding acquisition period. Founder and managing director Barrie Colvin said: “We have had monthly accounts from the start, which enabled us to know exactly how we are doing with margins and profits. Huntsman IFS at Roydon near King’s Lynn, produces two-part polyurethane systems used in a variety of sectors and applications including construction, refrigeration, automotive and subsea pipelines. Items made range from car steering wheels and armrests, insulation for buildings including for Portakabin’s portable buildings and modular ones such as hospitals and schools, jointing material for sub-sea pipelines and buoyancy aids for boats and buoys. The company, which designs and manufactures bespoke solutions for clients – has also been a pioneer, making products from vegetable sources (recycled sunflower cooking oil) rather than petrochemicals in 1983, and five years later leading the way with the first commercial use of zero ozone depletion blowing agents. Its acquisition by the Huntsman Corporation helped plug a gap in the UK market for the $10 billion company which has 100 manufacturing and research and development facilities in around 30 countries. Stephenson Smart partner Clive Dodds said: “We are thrilled to have had a long relationship with IFS during their successful growth.